This post should be subtitled “The Accidental Artist.” When I set out on this project, I just meant to repaint some old ornaments I had. 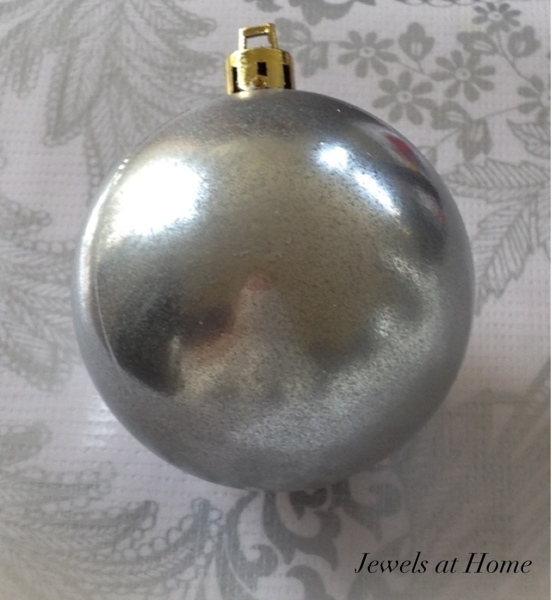 Along the way, some of them turned out with a lovely mercury glass look that was an unexpected and pleasant surprise, since I have been coveting those baubles but holding off on buying them, since glass and toddlers do not mix. 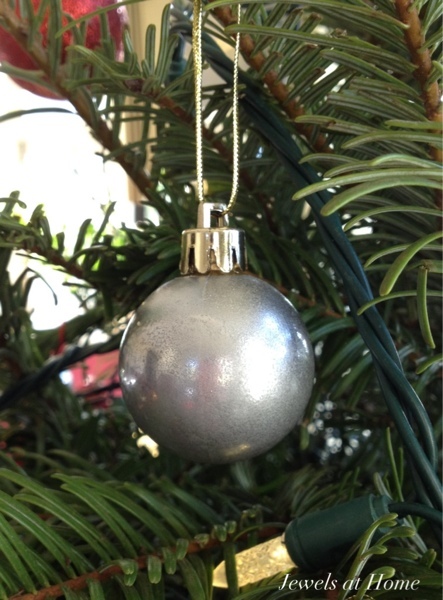 I wouldn’t normally have bothered painting these inexpensive plastic ornaments at all, but since I had the supplies already, I thought I might as well, and it turned out to be a good thing! I had a lot of simple red and gold ornaments left over from the Chinese “Red Egg and Ginger” party I organized for J a couple of years ago. I’ll have to blog about that later! 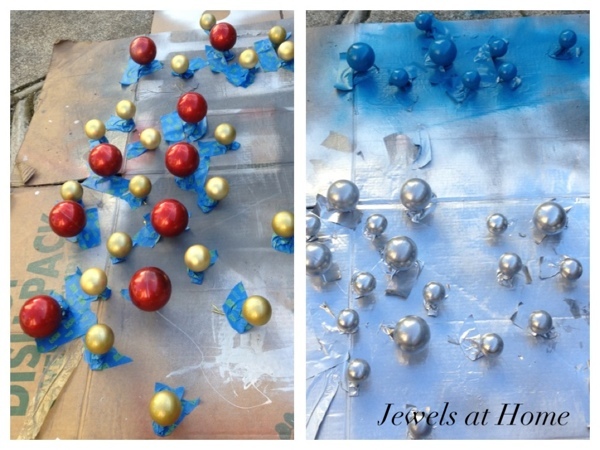 This year, I’m trying for a red, turquoise, silver, and white -themed Christmas, so I decided to repaint some of the gold and red balls to turquoise and silver. I had plenty of other red ones. I taped the balls upside down on some scrap cardboard with painter’s tape, sprayed a coat of primer and then a few coats of paint. The turquoise paint was initially intended for an old wooden chest. This color was actually too bright for the chest, but it came in useful here. 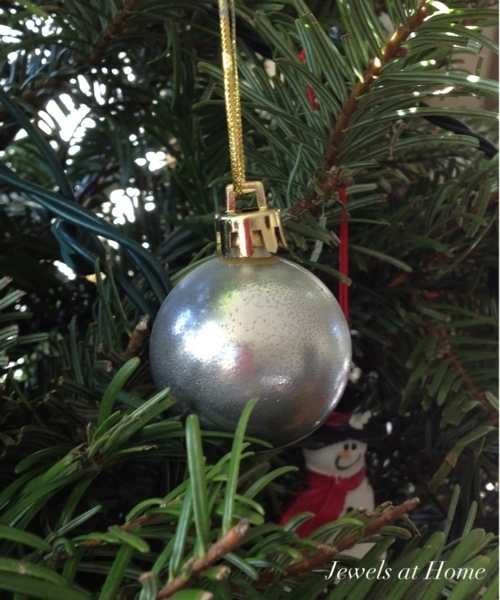 The silver (soon to be “mercury glass”) ornaments were painted with Rustoleum metallic paint in “chrome.” I’ve been in the lookout for Krylon’s “Looking Glass” paint, and I have yet to find it in a local store, but the Rustoleum metallic chrome seems similar and has a very reflective silver finish. I would have been happy to leave the ornaments silver, but I thought I would do a clear topcoat to help protect them from chipping. The clear spray I happened to have in the garage is a lacquer, which might have more solvent in it than a regular spray paint. In any case, it left tiny dull spots on the chrome, and for a split second, I was disappointed, but I’m now as pleased as (Christmas) punch, because they have a great faux mercury glass look! 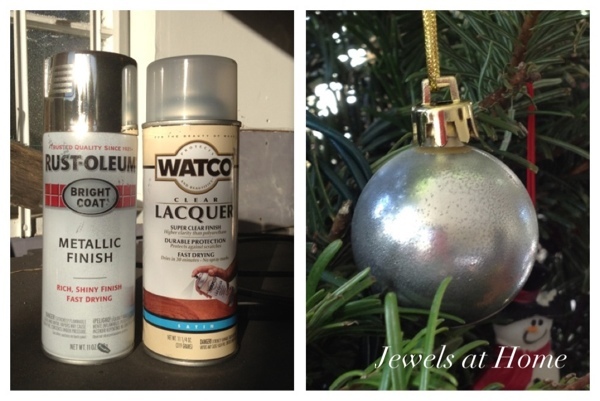 An easy combination of these two spray paints will give you a beautiful faux mercury glass look for your Christmas ornaments or other projects! 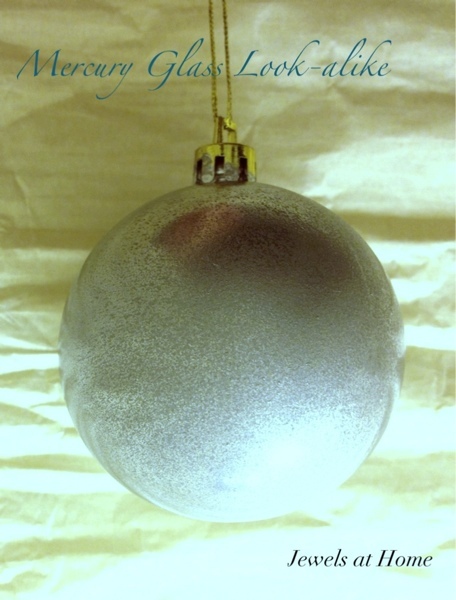 Here are some more pictures of the “mercury glass” ornaments. They are not perfect, and I’m eager to try more of the faux mercury glass techniques out there, but as accidents go, this one was very happy (much happier than some of the mishaps that have not ended up on the blog!). I’m definitely getting that festive holiday feeling! How about you?